I have long been a fan of lino printing. I don't consider myself an expert - it is a few years since I have made a reduction print, but I do like to dabble every now and then. It is cheap, easy to learn and clean. The latter is very important in my workspace (aka 'the desk') where I also write and sew. The last thing I want is stray fabric paint being a pain and getting on everything. 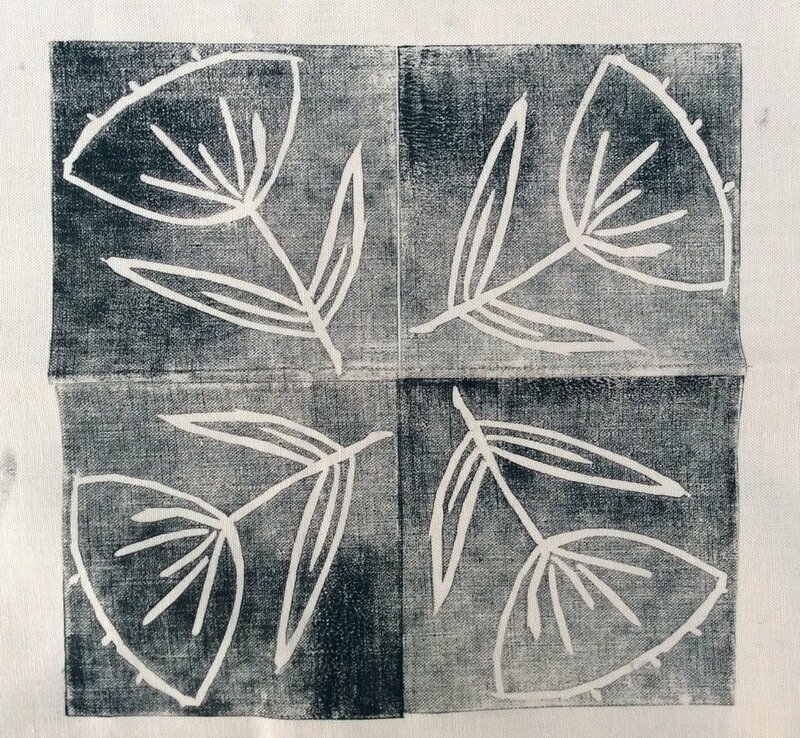 My first experience of using this technique was at university, where printing on paper was as important as printing onto fabric - it is a great way of creating greetings cards or wrapping paper. A few years ago I used Softcut for the first time and instantly became a convert. It behaves in a similar way to lino but is much easier to cut into. Last month I wrote a four-page guide to printing with Softcut for Popular Patchwork magazine for the February issue which is on-sale now. As it is a textile magazine I focused on printing onto fabric, and spent a very enjoyable day playing with designs to photograph for the how-to's. Here are a section of photos from that session. I worked most of the designs in repeats which I think makes them look more usable in quilting making. You can also create wonderful placement prints - they look great in the centre of a Log cabin block. If you fancy having a go, full instructions are in the magazine.